Why is this voted -3? Because people are racist against pikachu. This just made my day XD. 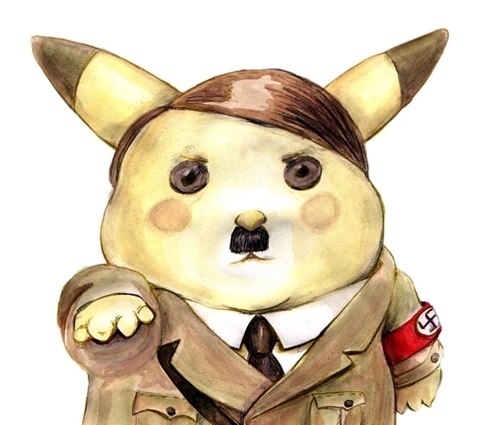 Pikachu is out to get your jews. this should be tagged as "what". This does not go in the disgustingly adorable pool! It makes you feel disgusted that you find it adorable. Sounds more fitting than anything to me for that pool. The DA pool works on something being so cute it actually disgusts someone. Not that someone's disgusted to find it cute. Schnell! Schnell! Deploy the Einsatzgrouper! For the Pikafuhrer mein cameradin! Einsatzgrouper - Fish type pokemon, Rare type, Instant death attack, very dangerous, very aggressive. This is how I picture the nostalgiafag fanbase. 1st generation Poke'mon = perfect. Everything else = Jews, gays, gypsies, etc etc.